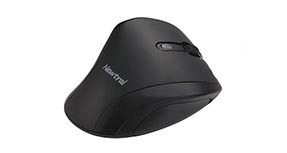 Fully customize your computer navigation with the help of the Newtral Mouse from Goldtouch. Fully adaptable gripping technology will ensure users the precision, balance, and comfort they need to finish any project, with the help of this ergo-friendly tool at their fingertips. 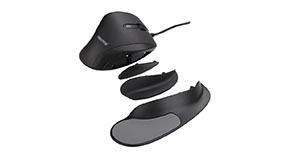 Gel-based grip attachments on the Goldtouch Newtral Mouse - Wired version allow users the ability to personalize their mousing experience, supporting hands for better ergonomics with one simple plug and play accessory. $49.00 List Price: $59.00* The list price is the same as the MSRP (Manufacturer's Suggested Retail Price). It may not necessarily be the price at which the product is sold.